Most homeowners prefer having a powder room bath for the convenience of guests. But, since the space is so small, it can sometimes be forgotten. Still, if the powder bath is planned and designed well, the small space can create an amazing impact and be quite a conversation piece. There are a few ways to approach the design of a powder room bath. Choosing the right countertop, cabinet, and mirrors can make the difference between a powder room that appears small and cramped and one that feels roomy and luxurious. 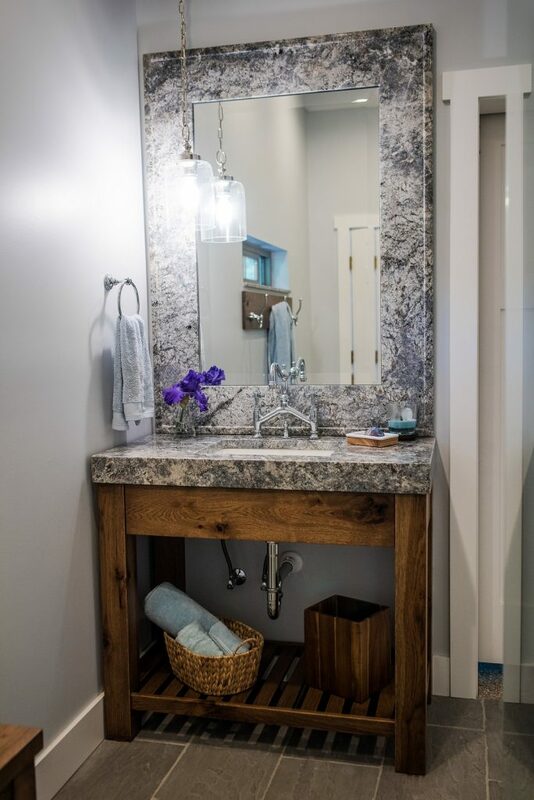 You can incorporate unique design elements and add a lot of pizzazz to a compact space by simply elevating the vanity cabinet and adding a stone countertop with a stone vessel sink. Adding the right lighting or some wall mount sconces to frame out the area make for a warm and beautiful finishing touch. Suspended countertops offer another amazing look. Building a floating valance out of wood and a custom hand-made stone top with an undermount sink gives a crisp look to the room with an open feel. Selecting a dark countertop and sink can make it look sleek, too. But the trick to making the space look larger is a wall-to-wall floor to ceiling mirror. Adding some accessories like a flower arrangement will help brighten the area and make the room feel warm and inviting. Another great way to maximize the space in your powder room, is to incorporate a furniture style vanity cabinet in conjunction with using consistent materials for the countertop and mirror above. A large, traditional cabinet can crowd the room, but using an open cabinet, like a furniture piece, makes the space look bigger. Adding just the right stone countertop with a matching stone framed mirror creates a unique look. 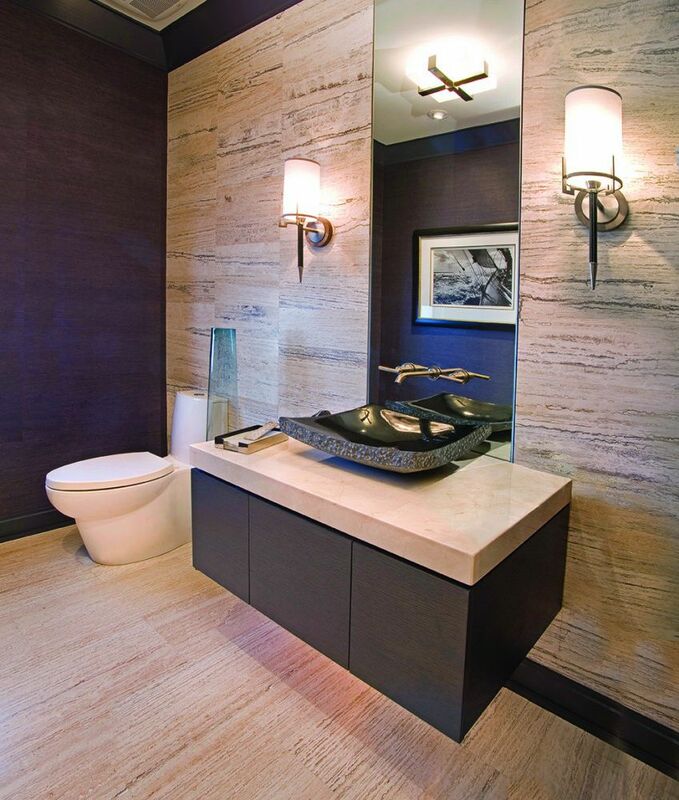 Make plans to jazz up your powder room and start with stone. Contact Stone Artisans today at 317-874-8955 for a free estimate. Whether you’re doing a remodel or new build, they can help you. 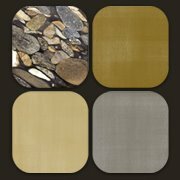 Visit Stone Artisans online at stone-artisans.com to get some excellent ideas by browsing some of the spectacular projects they’ve done.